Any time you put the word date on a watch with an arrow pointing to it, it’s a hot mess. Another person making a watch from parts without an actual designer. sierra11b wrote: Like the minimalist design but don’t know how you guys pull it off. A card or two, license etc is really all you need most days. I think I might end up grabbing one of these. I really like the yellow dial with the steel bezel. If they are the same on the CD-1 I can measure for you or just shoot a pm to Terry, he probably knows off hand. Or email Todd. I just don’t get who their target market was with the gold watch. 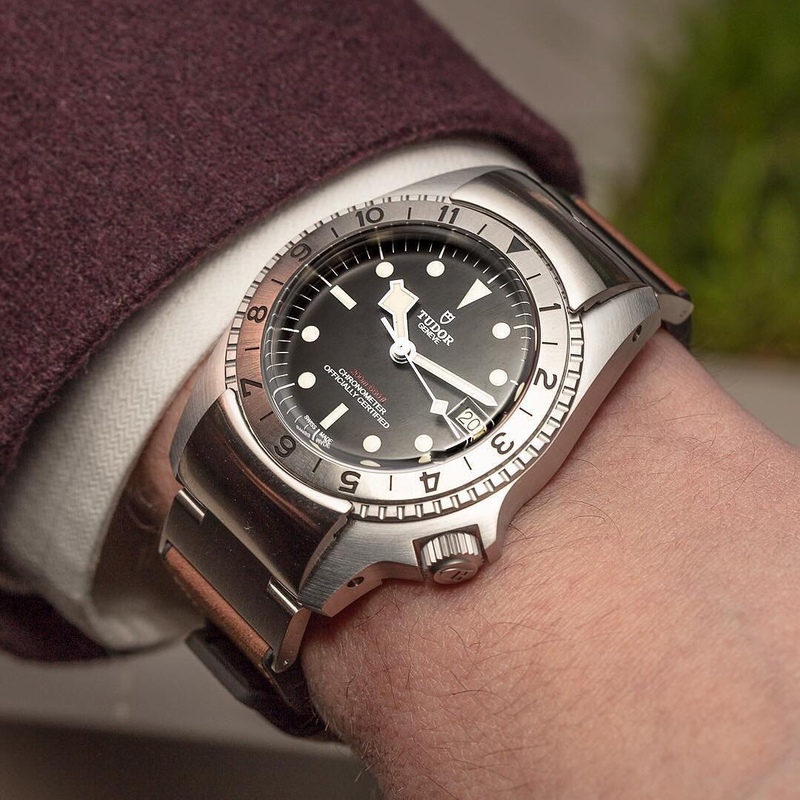 I don’t see anyone buying an $80,000 Doxa, even if you have the money. These are not microbrands. They are a factory that has branded watches they make. Can we say rip off? One is a straight Halios Puck copy and the other is an Oris 65 ripoff. In pretty sure it goes back and forth on the trim levels for the captains seats or bench. Base is bench, next level up is Captain, from that is bench and then the top of the line is Captain again. At least that’s what I remember from watching Alex on Autos video. I absolutely hate that PR on there. Way to ruin another wise great looker. toxicavenger wrote: So let me get this straight, isn't this watch based off a fake prototype years ago? Look at my post a few above. I figured that those end links had to pop up so you can use the bezel. They are a locking system of sorts. Maybe this is all a bad dream lol. It’s such an ugly, gimmicky watch.